L. Juglans, Ar. jawz, jauziyya, Fr. noix, Eng walnut. 1. At one point it was called Jovis glans, Jupiter’s nuts, as it was thought that gods lived on them. The Persians ground walnuts into powder and used them as a thickener in stews and sauces. In the 10th C. walnut oil produced by the nuts was used in cooking. Although uncommon, this practice has continued. Besides eating walnuts raw, they can be baked and candied. 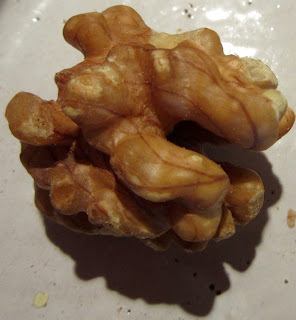 Avenzoar claimed walnuts are hot and dry; they provoke nausea and soften the abdomen. If abused, they make one deaf and dumb. The taste is very agreeable and they can be eaten alone, fresh or dry, or with figs, sugar and rose jam. Eaten with rose jam brings excellent results, although they are not recommended for youths or those with a hot nature, especially in summer; nevertheless, they are permitted for the elderly and in cold seasons for they are barely harmful for anyone. Further, as a medicinal herb, young leaves were placed in white wine to remove worms from the stomach when imbibed. Older leaves were thought to cause bad headaches and cholera. Eaten with honey, salt and onions they were consumed to relieve dog bites and poisonous bites. The leaves boiled with honey proved to be a good gargle for a sore mouth, throat, stomach ulcers and internal inflammations. The bark, dried and powdered, was used as a purgative. During the era of fainting women, the root and bark were taken to prevent swooning, gout, flatulent colic, hysteria in women and jaundice. Avenzoar recommended rubbing on the body with walnut oil to alleviate pain caused by cold. Externally it was applied to skin ailments as eczema, smallpox, varicose veins, herpes, scrofulous infections, gangrene and leprosy. Nursing women used it to relieve soreness of the nibbles. William Coles, a 17 C. English doctor, likened the nut to the human brain and to comfort headaches prescribed dipping the nut in wine and laying it on the top of the head. Covarrubias claimed that it ‘takes away and corrects bad breath, clarifies the sight, comforts the stomach, digests the meal, expels the gases and diminishes spots on the face, fortifies the liver, softens abscesses and hardness in the spleen, provokes urine and restricts the stomach, it is dry in the second degree’. Walnuts are used also in soap, furniture polish and in the preparation of paints for artists and lamp oil. Leaves from walnut trees were kept in the home as a flea and fly repellent. They were put in cupboards and closets to keep the moths away. 2. nuégado, L. nux, nucis, (Cast. nuez, Eng walnut), Eng. honey nut bread, dough baked in the oven made of flour, honey and walnuts. Pinenuts, almonds, hazelnuts or hempseeds can be used instead. Chop meat. Put it in a pot with 2 raw eggs, onions sliced, spices, salt and oil. Put raisins into a food processor. Pour vinegar over this and grind. Pour this over the mixture in the pot. Cook until almost done. Add enough water to moisten. Dice turnips and add them to the pot with pine kernels and saffron. Grease and flour a pie dish. Line it with dough. Sprinkle with raw chickpeas. Bake 15 minutes. When slightly browned, remove from heat and discard chickpeas. Remove from the meat mixture from heat. 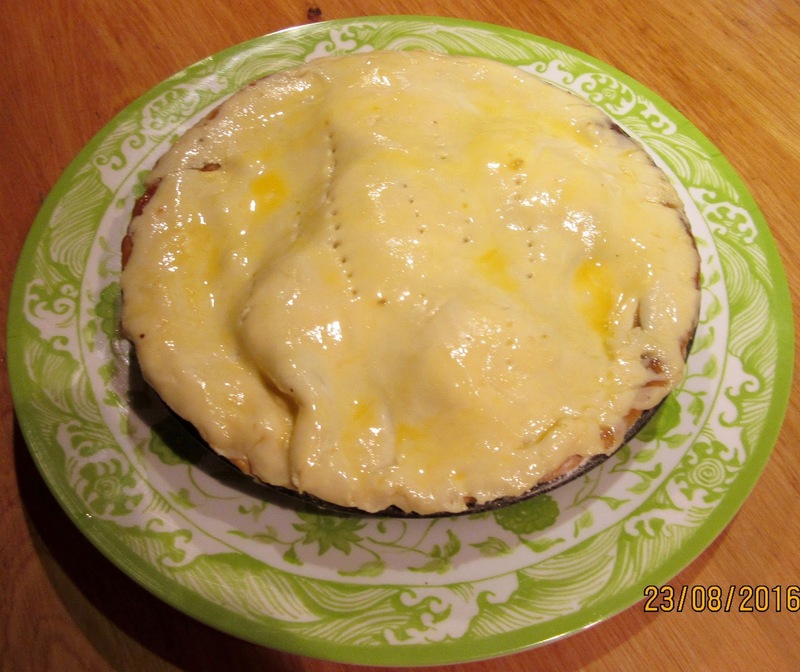 If making a pie: pour it into the pie shell. Slice hardboiled eggs and arrange them over the top of the pie like apple slices. Cover this with dough. Bake until golden brown, about 15-20 minutes. Remove and serve warm. 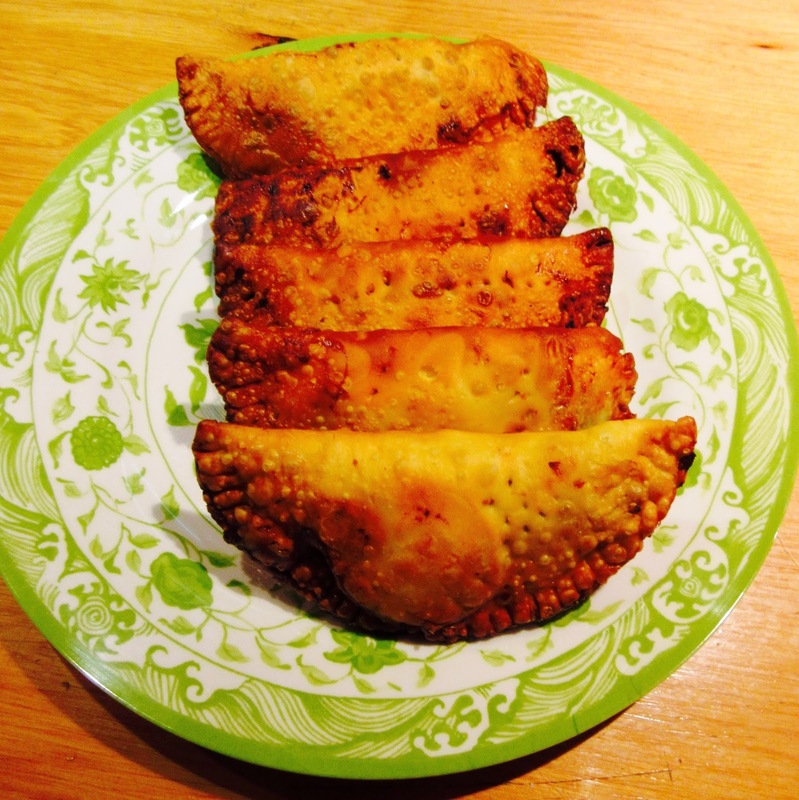 If making turnovers: Place a spoonful of meat mixture on each turnover. Put one slice of hard boiled egg on the meat mixture. 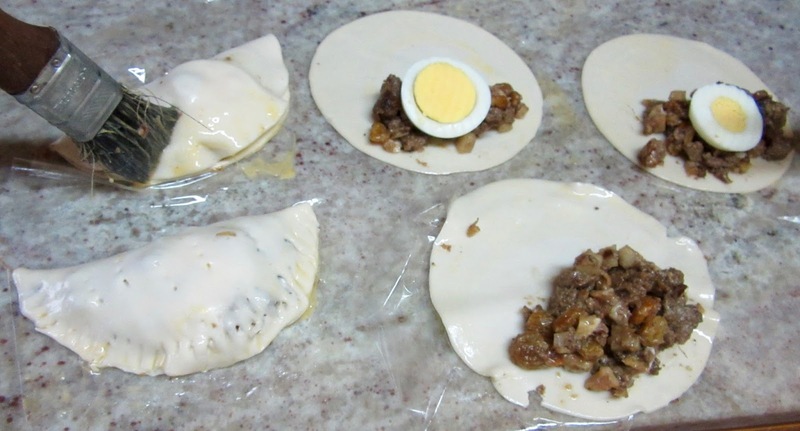 Paint the edges of the turnovers with raw slightly beaten egg. Close the turnover, dividing it in half. Paint the outer edges of the turnover with raw egg. Press down the edges with a fork or the handle of a spoon. Prick the dough with a fork. Heat plenty of oil in a frying pan and fry the turnovers until golden brown. Serve immediately. This can be interpreted to mean pie or turnovers. In the latter case they can be baked or fried in olive oil. 4 raw eggs if making turnovers. (pine kernels), which seems to indicate that nuts in Arabic, like in English, can mean any kind of nuts. Because of the Spanish translation of the title ". . . nueces," walnuts were used instead of pine kernels. Walnuts were used by the Medieval Spanish Chef instead of pine kernels. The turnovers and pie can be refrigerated or frozen until ready to eat.